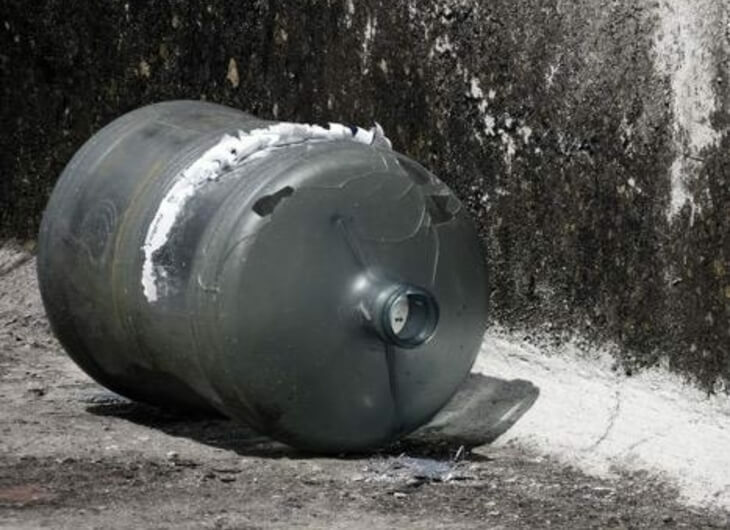 An empty water jug in Puebla. Photo: Tamara Pearson. US religious charity Living Water claims it is trying to help the poor, but in reality it is only increasing such inequality by supporting further privatization of the water system. 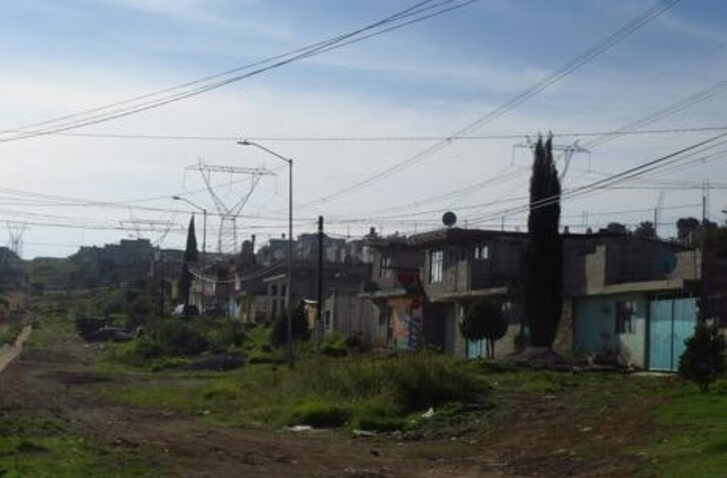 The town of Puebla is a miniature version of the world’s inhumane water inequalities. Here, people living in the wealthy part of town get all the water they need, and Coca Cola gets first dibs on the best water in the state. Meanwhile, the rest us get running water for half an hour a week, or none at all. Right-wing senator Ted Cruz, VP of Goldman Sachs Heidi Cruz, and the owner of Halex Oil Corporation Mike Hale all make up the leadership of Living Water, which has also collaborated with Coca Cola on projects around Latin America. Living Water has some 132 projects here in Puebla state, and with the support of a state law that allows for private investment in water, has been encouraging big businesses to “solve” the water supply problems in poor rural areas. “Living Water went into indigenous towns like Ocotepec saying things like “Jesus says water is for everyone”. At first, people trusted them, but then they realized the charity has connections to Femsa (Coca Cola) and they protested. There were arrests, and the police stopped the protests,” Fernando told me. He asked that I not use his last name nor take his photo, as many water activists like himself have been arrested, or threatened. Fernando is a young indigenous activist from the Nahua community of Cuanala, in the northern part of Puebla state. He belongs to the National Indigenous Congress (CNI) and to Peoples Against the Privatization of Water (PUCPA). He’s also a member of the 13 of October group, a local milker and farmer union. Cuanala in Nahua means water where the snakes are trapped – a fitting name for a community that has been defending its land and resources for decades. In the 60s, they even helped bring down the state government after it stopped them from selling the region’s corn, beans, alfalfa, zucchini and other products in the city. “In January the current state government sent the various municipalities (of Puebla state) a document saying that we had to approve an article in the water law that gives the state, and therefore companies as well, control over our water. They gave us a month to respond, and if we didn’t, then we had automatically approved it,” Fernando told me. “But we didn’t even find out about this document, so we approved it without realizing it. We protested, we shut down the federal highway, but no one responded,” he said. Article 12 of the new state water law makes it illegal for people to collect their own water, criminalizing any backyard wells or rain collecting projects. Communities like Fernando’s are also now limited to 20 liters of water per person per day, leaving them with barely enough to survive, let alone to irrigate their crops and look after their animals. “In the cities, water is used for washing up, for bathing, or drainage, but in the countryside, we don’t waste water by washing it down the drains. We recycle it. The fight for water is a fight for life. You can’t separate water from land issues and struggles, from the economy, and from conflict and peace and justice,” he said. Charities like Living Water and organizations like Techo (a charity active in Latin America, with alliances with Femsa (Coca-Cola) and Bank of America) “pave the way” for corporate access to indigenous and rural people’s water, Fernando argued. They go into those towns with a pretext of providing water and combating poverty, but with projects that will be financed by private companies. “The government and companies see water as something that can be sold, and those who pay more, will have better and cleaner water,” Fernando said. But I want to verify his claim that rich people have access to better water. I paid a visit to Angelopolis: a playground of mansions and luxurious malls and parks in western Puebla city, built by the state government in the late 90s under the guise of “development”. Unlike where the rest of us live – where we get 30 minutes of water a week, if we’re lucky, and so we store that water in tanks on our roofs – in Angelopolis there are no tanks. They have unlimited water, doing things the rest of us wouldn’t dream of, like filling their swimming pools, hosing down their patios and foot paths, and washing their pets regularly with a hose. When I tried to take a photo of the entrance of one of the fraccionamientos – a fenced off residential development with security guards at its one entrance – the security guards called the police on me and tried to take my camera, even though I took the photos from a public street. Wealthy individuals however aren’t the only one’s hogging the water. In Puebla, companies like Volkswagen and Bonafont have permits to access deep wells just to themselves. “A town can go without water for two weeks, but Volkswagen and Bonafont never go without – they never stop running, they never have to cut back,” Fernando said. Media collective Zenzontle supported Fernando’s position in a statement they released, accusing big businesses and the authorities of colluding to “loot” community water supplies in order to supply residential development projects, malls, and industrial zones. To the south of Puebla, in Chiapas, Coca Cola extracts water from the sides of the Huitepec volcano, where water is of the best quality. The water the company extracts would be enough to supply the state capital’s 200,000 residents with the 80 liters of daily water they need. Instead, people face constant water scarcity, and many indigenous and poor communities in the area face health problems like cavities and diabetes because Coca Cola is their best option as they work all day in the heat. Likewise, in Puebla, protesters claim that Nestle is over-exploiting the water tables and that it makes a huge amount of money from the region’s resources, without giving anything back. Coca Cola’s dominance over Mexico’s resources however is no coincidence: former Mexican president Vicente Fox (2000-2006) was also the head of Coca Cola in Mexico. n contrast to the wealthy part of Puebla, a poorer suburb on the edge of the city. Photo: Tamara Pearson. Fernando believes the state government, working with big business, wants to build an industrial corridor right through indigenous, rural, and poor towns in north-western Puebla. “We’ve observed all the different plans they have for various mega-projects in the area and we’ve noticed the pattern. They’re converting agriculture to industry. They’re going to displace us,” he argued. Indeed, in May this year unions denounced the way the state government and businesses were working together in order to “systematically dispossess” indigenous peoples from their land in favor of mining and hydroelectric companies. In Puebla state 16.2% of homes don’t have piped water access, 10% of people live in houses with dirt floors, and half the population doesn’t have a washing machine. Globally, two thirds of the world’s population could live in countries with water scarcity by 2025. The United Nations argues there is enough water for all 7 billion people: yet many of us have 20 to 80 liters a day, while people in wealthy western countries tend to have unlimited water and consume four to 30 times that amount (average water consumption per person in the US is 600 liters per day). Transnationals and right-wing governments are the ones controlling the world’s water, and they aren’t distributing it very well. This article was originally published at openDemocracy. It has been re-published at IC under a Creative Commons License.